We had a fantastic day with Sunny and visited the forbidden city, Tiananmen Square, Lama temple and much more! The tour was very flexible and we decided where to go as we went along. Sunny is very knowledgeable, explained all history and answered (loads) of questions from us and the children. She even gave us more advice on things to do on the following day with detailed public transportation instructions. I'd definitely recommend Sunny for anyone visiting Beijing! Sunny is the best. Her knowledge will astound you with great stories of intrigue making the tour interesting and fun. Sunny went above and beyond at all times to make my trip enjoyable and filled with activities. Highly recommend. Look no further for a great guide in Beijing. Very accommodating to tastes and needs. Sunny was wonderful. She is professional, flexible and extremely knowledgeable about all her tours. Always on time with a smile on her face Sunny took my 48 hours in Beijing and showed me the most important highlights. I highly reccomend her. We had a wonderful day with Sunny. Despite being 6 months pregnant, I find this private day tour very enjoyable. Sunny is friendly and knowledgeable. Lunch was delicious too! Driver is very courteous and vehicle used very comfortable. Highly recommended to go with Sunny. This was a very well organized tour. Sunny was a wealth of information and also provided great insights to the various locations while also letting us explore at our own pace. Sunny was very pleasant, gracious while we fealt we were being shown around by an old friend. Hope my other guides are as terrific as she as been. TOUR GUIDE RESPONSE: Thank you so much for you valuable review Carlos ! Very glad that you made a phone call to me .Your review means a lot to me ! Expecting your back Take care. Sunny contacted me in advance of the tour to confirm information and answered my questions promptly. She was knowledgeable and shared a lot of good information. Her English is good and I had no trouble chatting with her and learning about the places we visited. Sunny was a fantastic guide - she customized the tour to my interests and was knowledgeable, thoughtful, and personable. I very much recommend her, as she went out of her way to make my stay in Beijing a special experience. Sunny is the best. She is prompt, professional, and very knowledgeable. I cannot say enough good things about her. Our three days with her were fantastic, we hit all the sites we wanted and did not want for any information. Also she can pick great places to eat. Sunny is the tour guide you want if you are in Beijing. This was a good tour, but be prepared to do lots of walking. The cable car ride up and tobogganing down the great wall were the highlights. Sunny's English is good and we had a good time. Sunny is a warm and knowledgeable guide. She made everything easy and made sure we were comfortable at all times. Tour was excellent! Sunny was very informative and helpful. The tour was conducted at our pace, she did not rush us through anything and always answer any questions we had. Would highly recommended her for this tour or any other tour she provides. Sunny is a wonderful guide. She is very knowledgeable, has an excellent command of English and was a joy to be with. We had a great time at the Ming Tomb and then later in the day at The Great Wall. Despite being on a weekend, the crowds were reasonable. Having been on many tours, our family agrees, that our time with Sunny was special and memorable. Highly recommended! I had bought a small two day tour through another tour company before we left and started looking at all of the negative comments so I cancelled it and decided to spend a little more on a private tour with Sunny and it was worth every penny. I can not give her more praise. She really tailored our days with her to our every whim. I wish she was with us on our other tours we went on throughout our Asia trip. Sunny was so great and knowledgeable. She was prompt and great with answering all of our questions. The experience of the Great Wall would not have been the same without her! It was Monday and many sites were closed. We toured early to beat the crowds at those that were open and walked to many modern architecture structures I wanted to see. I know Sunny enjoyed the behind the scenes of many buildings she has driven by countless times. She guided me to find luggage to replace what the airline broke. A fine day with variety. Sunny was very knowledgeable, and with strong English skills. She took us to places we would have missed on our own (an unrestored part of the Great Wall empty of tourists, the quiet corners of the Forbidden City, the Lama Temple) and helped us order great food in locals-only restaurants. She made our first visit to China far more relaxed and informed. I would highly recommend Sunny as a guide, she adapted our itinerary to suit ages from 9 to 70+, ensuring we all had a wonderful experience. Her knowledge of local history, culture and customs was fantastic and she engaged both our children in expanding their Chinese language skills. Both of them rate The Great Wall as their top experience in China. Sunny also assisted us outside our tour recommending an exceptional Peking Duck (the best we had) and organizing transfers on our departure. TOUR GUIDE RESPONSE: Thank you so much for your valuable feedback. Typically, We start the tour at 8:30AM . People have to request if they want to start the tour later or earlier. I didn't know that you wanted to start the tour early. If I knew I would have done so. Many people come to visit the Forbidden City, because it is one of the most famous sites in the world! Everybody from China and International Visitors want to see it when they come to Beijing. You are one of them! We spent 2 days with Sunny on our recent trip to Beijing, and we had a fantastic time. 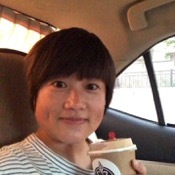 Sunny is warm, personable, and knowledgeable about the Beijing areas and the history of the country and sites. The tour was very well set up, and I would highly recommend Sunny as a tour guide if you are in the Beijing area. Sunny and her driver were great. Sunny's depth of knowledge on the history of Beijing were amazing. She really loves what she does so it makes for a very fun day. Sunny's English is excellent which made it so nice to always understand what she was telling us. At the end of the 2 days we spent with her we felt like we had learned so much and we had a wonderful new friend. Sunny and her driver were great!!! You could tell she loved being a tour guide because was so knowledgeable. She was really fun which made the day so enjoyable. 5stars +++ A spectacular day with Sunny and a highlight of our many ToursByLocals. Great tour and wonderful guide! Sunny provided our family of five an outstanding tour to the Great Wall when our cruise ship docked at Tianjin. Everything went flawlessly and our family, including 2 younger children, had a great time. Sunny is kind, patient, and extremely knowledgeable and the Great Wall was fascinating. A wonderful tour and outstanding guide! Sunny and her driver was great. We enjoyed seeing the major sites in Beijing. We learned a lot about the wall, the square and the forbidden city. We would definitely suggest using Sunny if you have the chance. Sunny was our guide for 2 full days and was excellent. She was always prompt (early actually). She speaks excellent English and has a wealth of knowledge about all the sites we saw. We gave her free rein to pick sites that most tours skip and we were not disappointed. She allowed us to go at our own pace, never rushing, never too slow. When we got tired or hungry, she accommodated our needs promptly. I can't say enough about Sunny. Highly recommended. Easy and excellent way to get to the airport. Thanks!! Sunny Fu is amazing and we highly RECOMMEND her !! We spent two days with Sunny in and around Beijing and because of her historical knowledge, her personality and her enthusiasm we really had a fantastic tour. We had a very nice van and driver provided by her. Sunny was flexible and accommodating in her program ( on our request we even picked strawberries !!). It was for us the highlight of our 24 days Asian trip. Many, many thanks Sunny ! We went to the Great Wall and saw an acrobatic show. It was a great tour. Thank you. We enjoyed eight guides on our first trip to Asia, and Sunny, as our first, set a high bar. Specifically, she accepted our "Wish List" for our ONE day in Beijing and turned it into reality. She calmly and educationally moved us through the Forbidden City and Great Wall landscapes, cleverly interspersing the treat of a lovely lunch in a hutong home. Lots of walking and Voila! Sunny's driver appeared to whisk us off to the Great Wall, cable car et al. Sunny is a true professional and great communicator. The private Beijing walking tour with Sunny was fabulous. We could not have asked for a better tour guide. Sunny knows the city very well, she is flexible, and she was responsive to our needs and preferences. She made good suggestions, so we saw places we would not have found on or own. With her great sense of humor she made the whole day a fun experience. My daughter and I learned much about Beijing and China, and we had a thoroughly enjoyable day. Thank you, Sunny. My daughter and I were fortunate to engage Sunny as our tour guide to see the Great Wall at Mutianyu and the Ming Tombs. Thanks to Sunny's knowledge of Chinese history and culture, as well as her excellent English, we learned so much. Sunny was very flexible and accommodating. In addition to the two places we expected to see she took us to places we didn't know about, such as a strawberry farm where we could pick the best strawberries we ever ate. Her driver, too, was excellent.Overall a wonderful day. Sunny picked me up promptly at 7:30am from my hotel in Beijing and we proceeded to Simitai. It was supposed to be a 2 hour drive; but before I knew it, we were there. Sunny is great company. She is knowledgeable and a phenomenal picture taker which will help me treasure my trip to the Great Wall forever. Although it cost more than most tours, having a private driver, personal tour guide, and being in charge of the schedule is worth every penny! Sunny is a fabulous guide. She is very knowledgeable, friendly and accomidating. We spent two days with her and enjoyed every fun packed & educational qualificationminute. Sunny is also a great photographer. She captured many memorable moments. We highly recommend touring with Sunny. We loved our tour guide, Sunny F. She was best tour guide we had ever used. So knowledgeable and caring towards us. If you are looking for a tour guide while visiting Beijing, you must use Sunny. She made us feel like family. 100% recommended! My sister in law and I spent two fabulous days with Sunny in Beijing. Both she and her driver couldn't have been more accommodating and simply pleasant to tour with! Sunny is aptly named as she has a very sweet and pleasant personality. We were able to see Beijing at a very comfortable pace , we ate at local non touristy restaurants ( which is key to me!) , and just truly enjoyed ourselves. Her command of the English language is wonderful so communication was a nonissue. Do not hesitate to book her! Sunny was an amazing individual. In our short stay in Beijing, she went above and beyond to make our stay enjoyable. We highly recommend her. Excellent guide....RECOMMENDED! Sunny went above and beyond to make our tour just what we wanted. Just before our tour date, we had to suddenly adjust our plan as President Trump was visiting the Great Wall causing a closure. Sunny contacted me immediately with options, and I think we ended up with an even better tour than the original plan. The Great Wall is amazing and walking it is definitely the best way to enjoy it. We learned a lot from Sunny as well...knowledgable on history and culture. Sunny did a great job showing us the Summer Palace on our recent visit to Bejing. She was very well versed in the history of the area and we enjoyed her perspective on life in China. She had a great driver who handled the awful traffic in that city with great patience. Thank you Sunny! Sunny is a lovely person and an excellent guide. I would recommend Sunny to anyone looking to do a private tour in Beijing. Sunny was amazing. She is a bundle of energy with a "can do" attitude. She was not only our guide, but also our caretaker, teacher, historian and entertainment. Her personality is infectious. You couldn't ask for more. We made a friend. We would have loved to have had her for the entire trip if that had been possible. A real gem. Sunny is very knowledgeable about China history. She is also very friendly and she keeps her clients well informed. The pickup from Beijing airport went very well. There was no waiting time for us. Definitely very efficient. Sunny was wonderful!! Great to work with--on time and very informative, next time I come out to Beijing, I will do another tour with her! Sunny was great. We had a lot of fun and learned a lot about China. She is well versed on the Empires and Emperors. No pressure on shopping and adjusted our tour just right with our requests. She hired an excellent driver. We always felt safe. We have done several tours-by-locals and she is among the best we have had. I hope to return to Beijing and look at the other areas she has suggested, now that we've seen the main tourist places. She will be my first pick for a guide. Sunny was wonderful! Good communication, thorough presentation and we saw parts of Beijing we would never have found on our own. 100% worth it! Excellent service. We were very late coming out of customs and our driver was still there waiting. Easy way to get from the airport. We had a really great tour and Sunny is an experienced tour guide. She told us intersting things about everything on the tour and even in the car she told us a lot about about Beijing. She was very entertaining and we had a lot of fun. Sunny is an excellent tour guide. She is very personable and knowledgeable. Her English is excellent and my colleagues and I thoroughly enjoyed our tour with her! We had a great time. The weather was beautiful and the views at the Great Wall were stunning. There weren't as many tourists as I anticipated either. Sunny was very knowledgeable and explained the history of Beijing perfectly. We would definitely do the tour again. She is delightful. Sunny was awesome. Easily a 10 in a scale of 1 to 5. She knew I was on a very tight time schedule. I told her what I'd like to see & do, and Sunny made it happen. She's professional, courteous, friendly & so knowledgeable. I'd reserve my tour with her in a heart beat! This was a great tour if you want to get out of the big city and see how others live in the countryside. The tour included a lot of history and a wonderful local meal. We are again very pleased with another tour with ToursByLocals! I would highly recommend Sunny as a tour guide. She was charming and enthusiastic. Her driver was excellent. Sunny took care of everything for us and we just had to ride along and enjoy the experience and her knowledge. Great tour of Beijing! Highly recommend Sunny as a tour guide. This was our 3rd tour using Tours by Locals and we were not disappointed. Sunny is very knowledgeable of Beijing's vast history. She tailored our tour to the sights we wanted to see, and knew the most efficient way to get there. We used the subway to get to many of the sights. Sunny is very professional and has a very warm personality. Sunny was an excellent guide with a large amount of information. Her English language skills were good and she was very flexible in trying to meet our needs and interests. Sunny was very personable and friendly, with good English. She changed her schedule to cover all the places we wanted to see. Getting around this tour without a driver was as quick and very cost effective for us. Sunny took us to a great hot pot restaurant which gave my wife a free manicure and shoe polish, and then organized a driver and Kung Foo show for us on the next day. Sunny was a great tour guide! We only had 3 full days in Beijing and Sunny was able to tour us all over Beijing, the Great Wall, and all the major sites we were wanting to see. Sunny provided good historical information and its importance, along with making it fun and interesting. Sunny was very funny and easy to talk too. I would highly recommend Sunny for any tour! We enjoyed our tour with Sunny the prior evening, but this show was a waste. The acrobats were poor amateurs. Poor sound system. It was definitely put on for tourists. We were also disappointed that it was not a private tour. We were picked up by Sunny and her driver and then stopped at another hotel to pick up 5 additional tourists which we did not enjoy being around. The driver returned us to the hotel after 2 other stops at a bar and hotel for them. We could have paid much less to use a group pick up. Sunny and her 3 day tour were the highlight of our 21 day Asian trip! Professional, fun, energetic, knowledgeable are the words we'd use to describe her! We had a beautiful van and driver provided by her. Her personality, candor, and enthusiasm made for three fun filled days! We will definitely see Sunny again for another custom tour. And if you like food she's also your girl! We had a really nice time with our guide. It makes a big difference to have a nice guide that gives interesting points about the history. Much recommended! Sunny was terrific. She was knowledgeable and had tons of energy. Her English skills are top-rate. We thoroughly enjoyed our day with her and we're sad we had a short trip in Beijing, otherwise we would have gladly hired her to show us more of the city! After four trips to China, we were impressed and highly recommend her! Sunny was extremely responsive. We informed her that we needed extra space due to luggage, and she took care to make sure we had the right sized vehicle. The driver was friendly and safe. Sunny is very knowledgeable, humorous and friendly. She was very accommodating to our specific requests. I highly recommend her to anyone wanting to tour the Beijing sights. The driver was punctual and very careful when he took us from our hotel to the Beijing Airport very early on Jan 14, 2017. He was very helpful at all times and we appreciated his care very much. Ms. Sunny was a wonderful guide for our visit to the Great Wall at Mutyanu. It was informative and fun. She gave us a rich snapshot of history of China related to the wall and its construction over centuries. She provided a lively narrative of the Ming Tombs in Dinling, and life in China today. We enjoyed our day very much. We would contact Sunny again if we ever return to China for another visit. Sunny arranged for a driver, Mr Wang, to pick us up at Beijing Airport upon our arrival. He was very prompt and organized to take us and our luggage to the car and to the hotel. Despite the heavy traffic, the ride was calm and relaxing. Thank you very much! Great communication and the team of tour guide and driver coordinated very well to make our trip very pleasant. We had a customized tour and thoroughly enjoyed our short trip to Beijing. Sunny is very knowledgeable and did her utmost to make sure we had a great experience. She consulted with us to find out just what we wanted to see and arranged an itinerary to maximize our time. It's obvious she loves Beijing and did her best to make sure we did, too. I would highly recommend this tour and Sunny as a tour guide. TOUR GUIDE RESPONSE: Thank you for your so much kind review.Wish all the best to you and your family. TOUR GUIDE RESPONSE: Thank you so much for your review. It was a pleasure to work for you.Please take care and all the best to you. We really enjoyed this tour with Sunny. Her local knowledge was fantastic, she arranged the tour to suit our times and what we wanted to see and came to our hotel to collect us. A walking tour was a great way to see Beijing. I highly recommend a tour with Sunny who was friendly, flexible and spoke English really well.